There is an array of SUVs and crossovers that will be arriving and launched in India in 2017. This includes new-generation models and facelifts. Nissan will relaunch the X-Trail SUV but with a hybrid powertrain, whereas manufacturers like Skoda and Maserati will debut in the premium SUV segment with the Kodiaq and Levante. We have got a detailed list of SUVs that are expected to hit Indian showrooms next year. 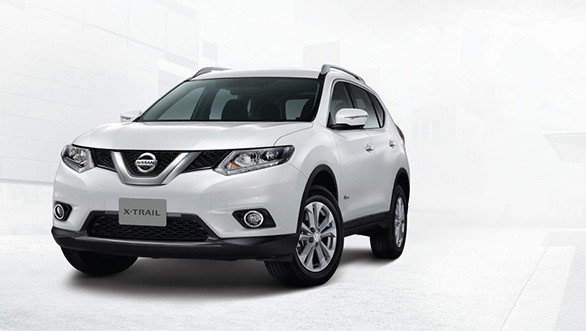 The Nissan X-Trail features modern styling influenced by Nissan's new design language and looks very different compared to its predecessors. The SUV was the first Nissan to use the modular CMF platform and is claimed to be lighter despite being larger compared to the earlier-generation models. It is equipped with a 2.0-litre MR20DD hybrid motor that makes 147PS and 207Nm. A high-output Li-ion battery adds another 41PS and 160Nm of torque, making the X-Trail one of the most powerful SUVs in its class. 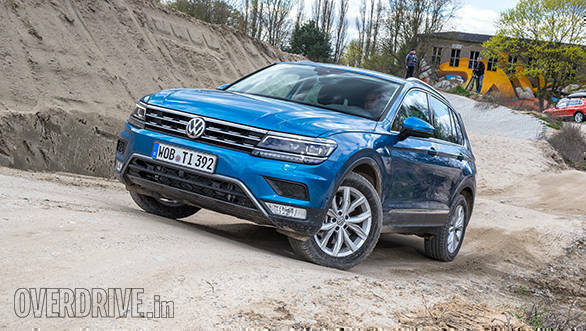 The new Volkswagen Tiguan is larger than its predecessor and looks a lot more stylish. It is also the first Volkswagen SUV to use the new MQB (Modularer Querbaukasten in German, or Modular Transverse Matrix) platform. The 2.0-litre diesels will be offered in states of tune ranging from 115PS to 240PS. The turbocharged petrol variants are offered with 1.4-litre options, making between 125PS and 150PS while there is also the more powerful 2.0-litre mill that makes 220PS. However, we expect the 125PS 1.4-litre TSI engine and the 150PS 2.0-litre diesels to make it to India, too. 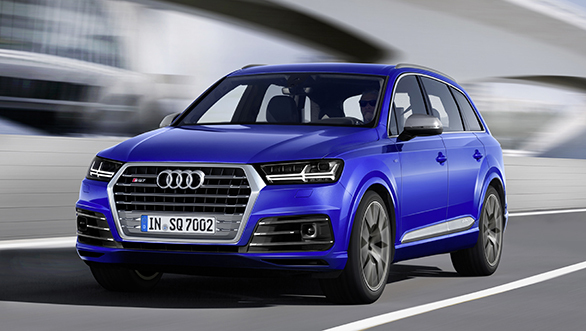 Audi is all set to bring its performance-based SQ7 in India. The Audi SQ7 is powered by an all-new 4.0-litre V8 diesel motor which produces 435PS of power and 900Nm of torque. This motor comes mated to an updated 8-speed tiptronic transmission which makes it capable to do a claimed acceleration of 0 to 100kmph in 4.8 seconds. This motor can attain a max speed of 250kmph, which is impressive for a SUV of these dimensions. Skoda recently announced its plans of bringing new range of vehicles to India. The most important of which is the all-new Skoda Kodiaq SUV. It is the first three-row SUV from Skoda based on VW's MQB platform. 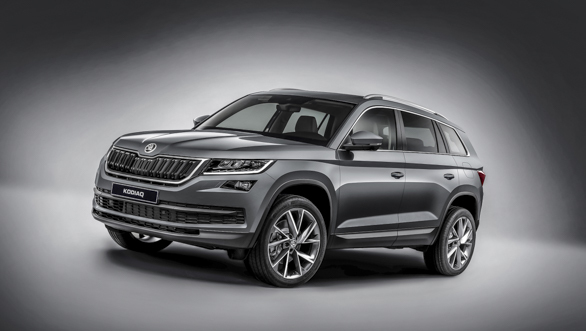 The engine options that will be offered on this premium line SUV will be shared with that of the Skoda Superb. Upon its launch in India, the Skoda Kodiaq will compete with the Mercedes-Benz GLC and the Audi Q3. 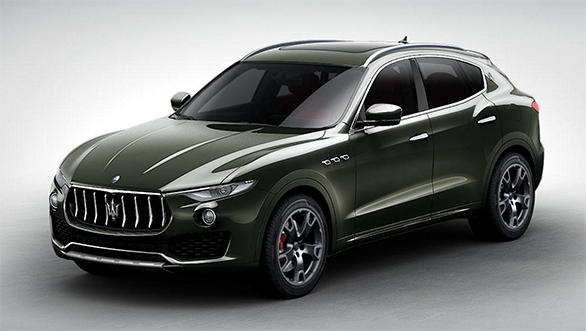 Maserati's first SUV, the Levante, arrives early next year. Built on the Ghibli platform, the Levante combines dynamic design language as seen on its sedans with an aggressive SUV stance. The Maserati Levante is powered by a 3-litre V6 twin-turbo petrol engine. There are two states of tunes  430PS and 350PS. The 275PS, 3-litre diesel as well as the petrols will be mated to an 8-speed automatic transmission and will come with Maserati's Q4 all-wheel drive system. The Renault Kaptur will share its underpinnings with the Renault Duster. It is expected to be powered by 1.6- and 2.0-litre flex-fuel engines. The same units power the Kangoo and Modus models in international markets. We expect the Indian version to carry the same powertrain options as the Renault Duster with tweaked performance numbers. 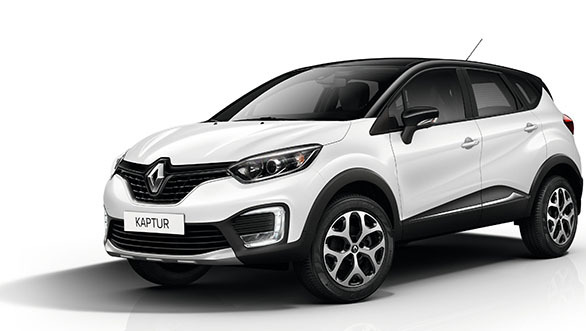 The Renault Kaptur will compete with the likes of the Mahindra XUV500 and Hyundai Creta. Since the Kaptur is based on the Renault Duster platform, we believe with higher percentage of localisation Renault can price it very aggressively in the country. The new-gen Renault Koleos was first showcased at the 2016 Paris Motor Show. 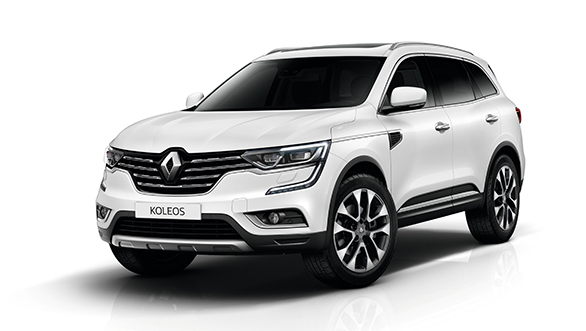 The styling on the 2017 Renault Koleos has been inspired by the Renault Talisman. The new Koleos gets an athletic profile with a near ideal blend of aggression and elegance. Also, the cabin layout and features are similar to that of the Renault Talisman. The new-generation Renault Koleos will be offered with a choice of four engines  two petrol and two diesel  with power outputs ranging between 130PS and 175PS. Transmission options on the 2017 Renault Koleos are a 6-speed manual and the brand's X-Tronic CVT. The Renault Koleos will also be offered in either a front-wheel drive or all-wheel drive variants. It will compete against the Chevrolet Trailblazer, new Toyota Fortuner, Ford Endeavour and Hyundai Santa Fe. 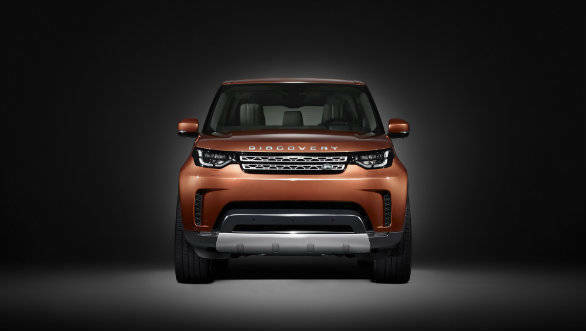 The 2017 Land Rover Discovery was unveilied at the 2016 Paris Motor Show. Build on the company's Premium Lightweight Architecture (PLA), the new-age Discovery weighs 480kg less than its predecessor. The fifth-generation Land Rover Discovery will be on sale from mid-2017 in the international markets. It is powered by 2.0-litre Ingenium 4-cylinder TD4 diesel engine that makes 180PS of power. The more powerful twin-turbo Sd4 Ingenium 4-cylinder diesel produces 240PS and 500Nm of torque. The 6-cylinder diesel motor produces 258PS and delivers 600Nm of torque. The new Trailblazer was showcased in the concept form at the 37th Bangkok Motor Show in March this year. The 2017 Chevrolet Trailblazer features cosmetic additions on the exteriors, while the interior gets a subtle revision in the form of an updated dashboard design. The updated MyLink infotainment system new comes with Android Auto and Apple CarPlay as standard across all the variants. 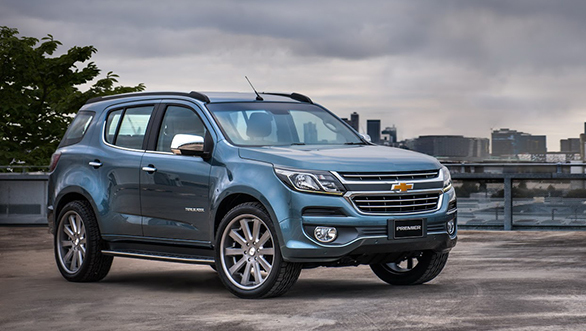 The list of safety features in the Trailblazer facelift include cross-traffic alert, parking sensors, collision warning, lane-change assist and blind spot warning. The new Jeep Compass is based on the company's 'Small Wide 4×4? architecture and expected to be available in front-wheel as well as four-wheel drive configurations. The vehicles are currently manufactured in Goiana, Pernambuco, Brazil. However, production will start in India in 2017 at FCA's Ranjangaon plant near Pune. 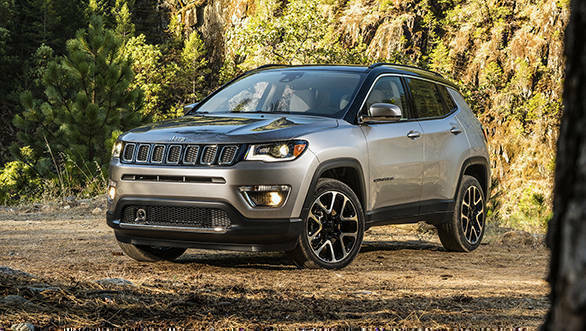 Jeep offers as many as 17 powertrains for the new Compass; however, the Brazilian market, which is similar to ours, gets a 157PS/195Nm 2.0-litre flex-fuel petrol and 165PS/350Nm Multijet-II turbodiesel options. The 6-speed automatic transmission is exclusive to the Jeep Compass petrol while the 9-speed auto is available in the Trailhawk diesel trim. 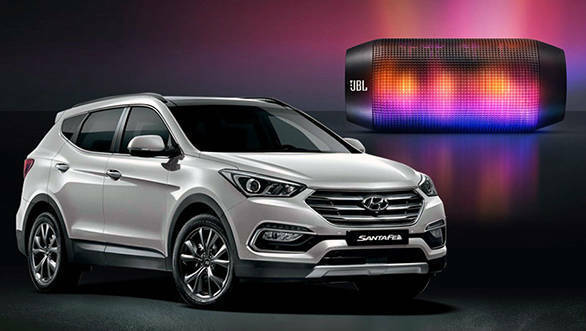 The Hyundai Santa Fe facelift will come up with new design bumpers, chrome outlines, daytime running LEDs, high beam assistance and LED guide lights for the new bi-xenon headlamps. The rear too has been slightly reworked with dual quad exhausts and lamps with LED graphics on them. Overall, the car looks sportier than the outgoing version. The engine options in the Santa Fe facelift remain unchanged. More important, the Hyundai Santa Fe facelift will come with an all-wheel drive option too. The new-generation Audi Q5 was unveiled at the 2016 Paris Motor Show. The all-new Q5 is based on the new MLB-evo platform and is up to 90kg lighter than its predecessor. The second-generation Audi Q5 gets three engine options - a 2.0-litre TDI, a bigger 3.0-litre TDI and a 2.0-litre TFSI engine. Audi claims to have reworked on all three engines to ensure better performance and efficiency. 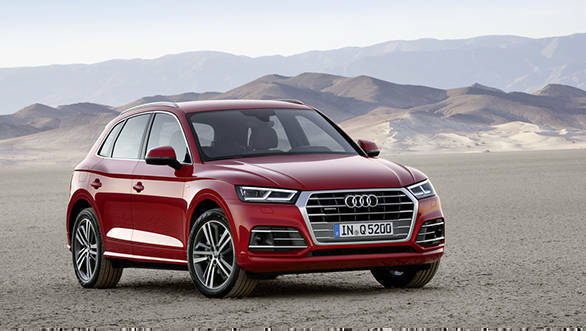 The 2017 Audi Q5 will be manufactured at the company's plant in Mexico and will be on sale in Europe in 2017. We expect it to be launched in India by end of next year. The Isuzu MU-X will be positioned as the lifestyle SUV to take on the likes of the Toyota Fortuner, Ford Endeavour and the Chevrolet Captiva. The new Isuzu MU-X gets a sportier design along with an updated 2.5-litre motor and will be a successor to the ageing MU-7 SUV that's presently sold in India. Powering the Isuzu MU-7 is a 3.0-litre, 4-cylinder diesel motor that makes 163PS at 3,600rpm and generates 360Nm at 1,800-2,800rpm. The MU-X sold in the international market comes with a 3.0-litre motor that makes 177PS at 3,600rpm and makes 380Nm at 1,800-2,800rpm. 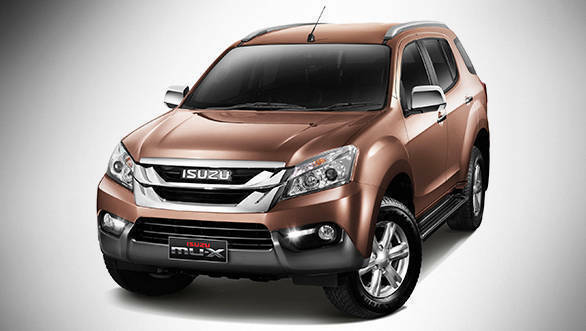 We believe the Isuzu MU-X will be assembled at the company's new plant in Sri City, Andhra Pradesh. The Bentley Bentayga diesel gets a 4.0-litre V8 engine with two-variable geometry, sequential twin-scroll turbochargers and a third electric supercharger. Bentley says that its all-new diesel engine generates 435PS and 900Nm. The electric supercharger is powered by a 48V system and spools up within 30 milliseconds to put an end to turbo lag. 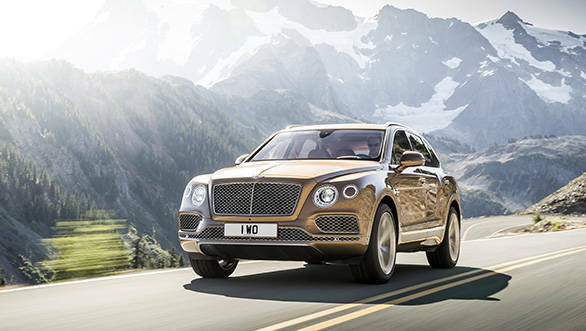 The Bentayga diesel claims to accelerate from 0-100kmph in 4.8s and attain a top speed of 270kmph. 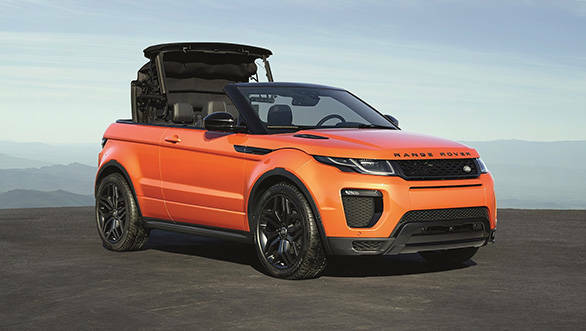 The Land Rover Evoque Convertible, that was unveiled in 2015, is the world's first convertible SUV. The fabric roof can be raised in 21 seconds and folded away into the boot in a mere 18 seconds, even when on the move. However, that can be done only at speeds up to 48kmph. The Range Rover Evoque convertible gets a Si4 petrol motor that makes 240PS of power. The diesel engine portfolio consists of the 2-litre Ingenium engines from the JLR portfolio. 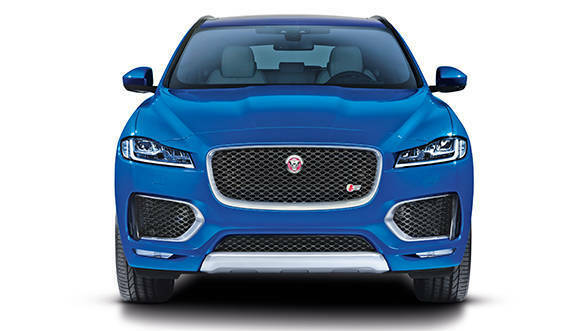 The Jaguar F-pace was launched in India at Rs 68.40 lakh (ex-Delhi). This crossover that also happens to be the brand's first was launched with only diesel engines. Jaguar will now launch the petrol F-Pace in India. The new offering will be powered by a 2.0-litre petrol motor that makes 240PS at 5,500rpm and generates 340Nm at 1,750-4,000rpm. The Jaguar F-Pace petrol motor will come mated to a ZF 8-speed automatic transmission. Jaguar states that the F-Pace petrol can do a 0 to 100kmph in 7.5 seconds and can reach a maximum speed of 225kmph. In addition, Jaguar might bring in a supercharged 3.0-litre motor that generates a power output in the tune of 340PS and 380PS.